Last week I packed up my kit and headed up to London’s Carnaby Street to photograph a very special cake. 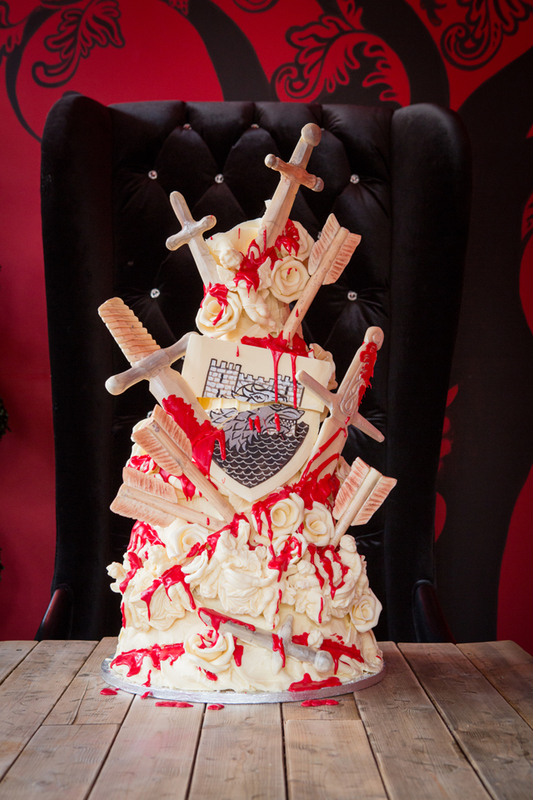 The commission came from the television network HBO, who booked me to shoot press images of the Game of Thrones Red Wedding Cake, produced by the incredible Choccywoccydoodah. The cake was made to celebrate the release of GoT season 3 on DVD. And to add a bit more excitement to the shoot, Choccywoccydoodah had their film crew along to film document the cake and the shoot (no pressure there then!). The workmanship of the cake was truly breathtaking and it took two strapping men to lift it into place – an absolute work of art and testimony to the talent of Choccywoccy’s choclatiers. After the shoot the cake was being whisked away to be presented and cut at a press event with some of the GoT cast members, so sadly I didn’t get to try any of it. Knowing Choccywoccy I’ve no doubt it tasted as incredible as it looked though! Fabulous shots! And what an amazing cake from those creative genius at choccywoccy.